Sick notes are a poor solution for employers and bad for government. 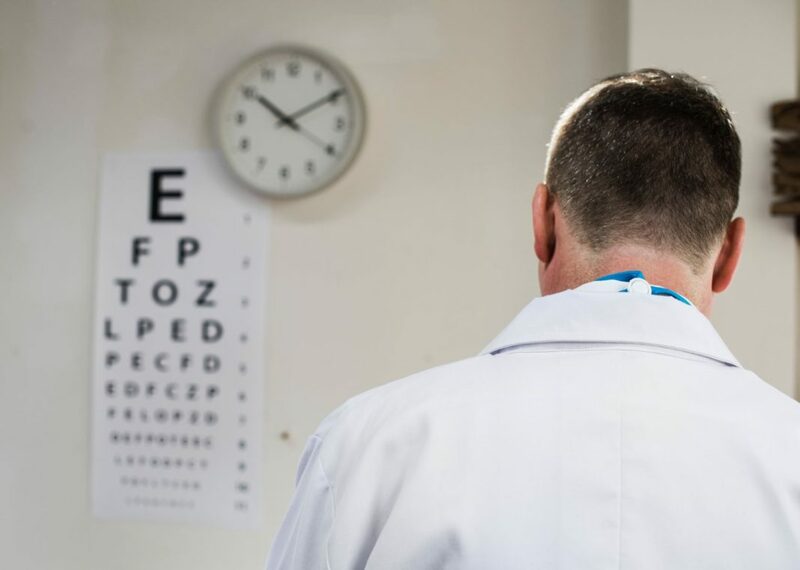 For minor illnesses, they use up physician time when the solution is usually not a medical one and they are a hassle and cost to get for the employee. Requiring a sick note is an explicit message that the employer does not trust the employee. In addition, there is a potential cost to the employer (of having sick people at work). It is a question of trust not surveillance. Working Canadians generally reject the idea of requiring sick notes for minor illnesses. This is according to a recent CMA survey conducted by Ipsos. More than 8 in 10 employees would be somewhat or very likely (82%) to go to work ill rather than getting a sick note if it was required for a cold or other minor illness. Almost half (46%) are very likely to go to work sick. 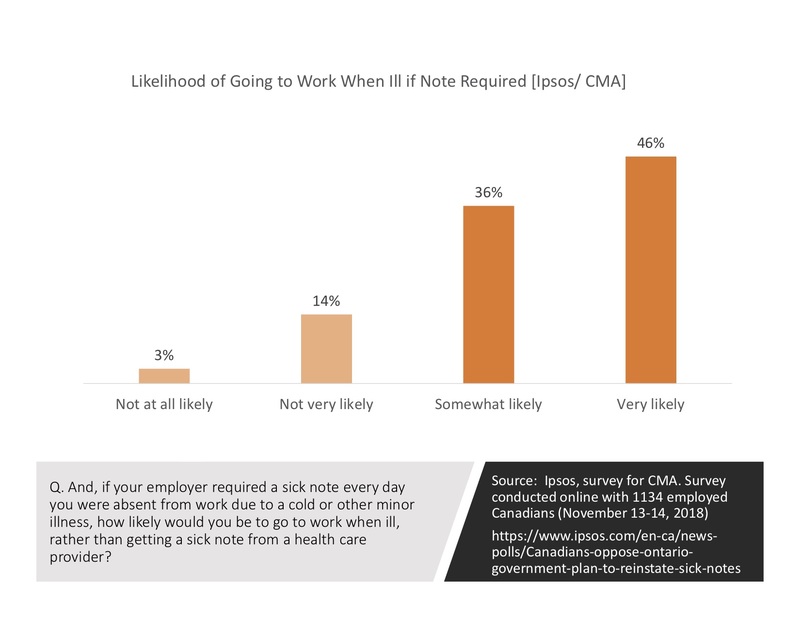 As such it is not surprising that only 30% support a policy that would reinstate an employer’s ability to require sick notes for a short medical leave. Young people (under 35 years) are more likely (36%) to support the policy. For those who support allowing employers to ask for notes, the number one reason is to reduce absenteeism (61%). It is the assumption that we need policies to enforce a lack of trust. Sick notes serve to ensure no one violates social norms (takes advantage) around sick days. The Ontario government restricted the ability of employers to ask for sick notes for short-term illnesses to reduce the social cost of being sick. For example, each time a sick person infects another person, they costs to the system go up. Putting an extra burden on those who are sick by requiring sick notes is counterproductive. It serves to increase the frequency of going to work sick. The plan in Ontario to reinstate the ability to ask for sick notes panders to those who do not trust people. It may not even actually reduce abuse. I expect doctors are willing to issues these notes without too much question. Hopefully employers understand, like the majority of Canadians, that the benefits (fewer cheaters) is not worth the costs (more sick employees). In other words, a surveillance culture is not likely to be a productive workplace.